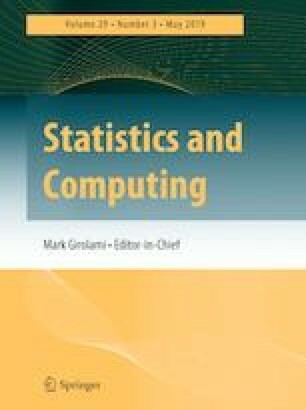 This article proposes a mixture modeling approach to estimating cluster-wise conditional distributions in clustered (grouped) data. We adapt the mixture-of-experts model to the latent distributions, and propose a model in which each cluster-wise density is represented as a mixture of latent experts with cluster-wise mixing proportions distributed as Dirichlet distribution. The model parameters are estimated by maximizing the marginal likelihood function using a newly developed Monte Carlo Expectation–Maximization algorithm. We also extend the model such that the distribution of cluster-wise mixing proportions depends on some cluster-level covariates. The finite sample performance of the proposed model is compared with some existing mixture modeling approaches as well as mixed effects models through the simulation studies. The proposed model is also illustrated with the posted land price data in Japan. This work was supported by JSPS KAKENHI Grant Nos. [16H07406, 15K17036, 16K17101, 18K12754, 18K12757]. The computational results were obtained using Ox version 6.21 (Doornik 2007).